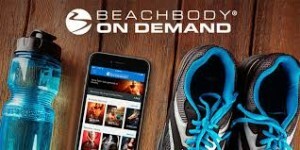 I have to say, I’m continually impressed with the new and innovative ways that Beachbody delivers quality content. Over the last few years, I have purchased and used many of their fine programs. Now, you can have access to the programs via streaming. There are a number of reasons I like this even better than the DVDs. The cost is quite reasonable. It is $2.99 per week. That comes to $38.87 plus tax billed quarterly. With this “Club Membership” you have access to many of their programs including P90X and more. There are a few “Premium Content” workouts that are not included. If you have already purchased the DVDs for them, they will show up in your account for streaming. On December 27, 2016 they introduced an even more enticing plan. You can get their All-Access Plan for an annual amount of $99.95. This one gives you access to all their programs, even the Premium ones and any new releases. It also saves you $55 per year on the subscription. So, you actually get more for less! Oh, you also get 10% off any purchases including Shakeology. If you’re all in and want to include some great nutrition in the deal, I recommend getting the “Challenge Pack.” This package includes the Annual All-Access membership, portion control containers, Shakeology cup, guide and a 30-day supply of Shakeology.